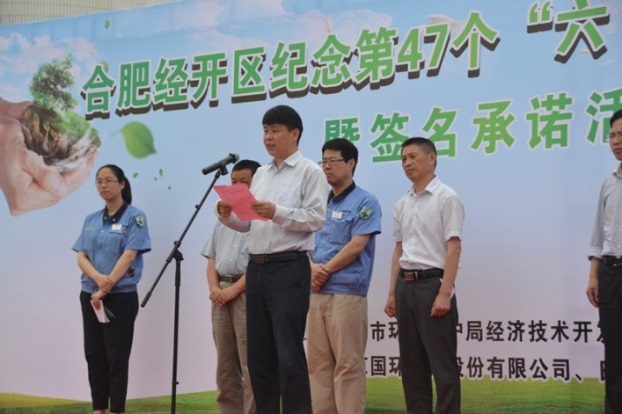 This ceremony was sponsored by the Hefei Economic & Technological Development Area Branch Office of Hefei City’s Environmental Protection Bureau in order to raise awareness about environmental protection and legal compliance on June 5th, the 47th World Environment Day. 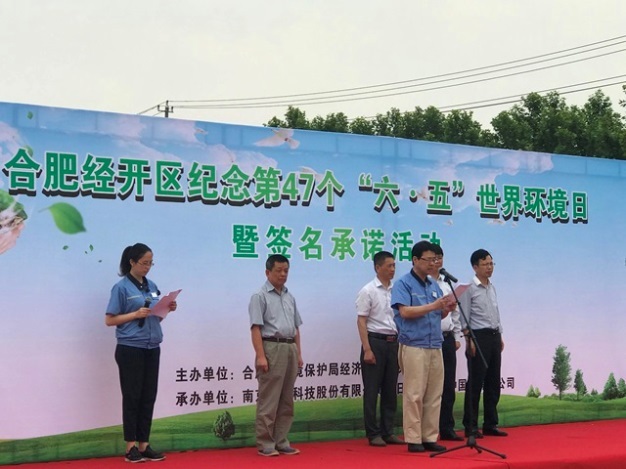 This year’s World Environment Day theme in China was “Act towards a Beautiful China,” which calls for everyone living in the country to play a lead role in building a beautiful China. 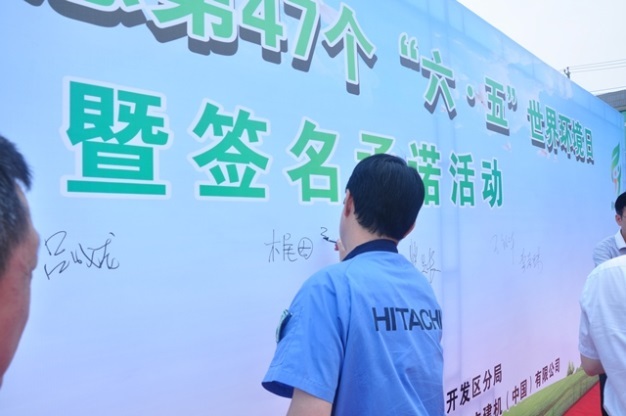 Hitachi Construction Machinery (China) was selected as the representative of the Hefei Economic & Technological Development Area and host site of this year’s activities. 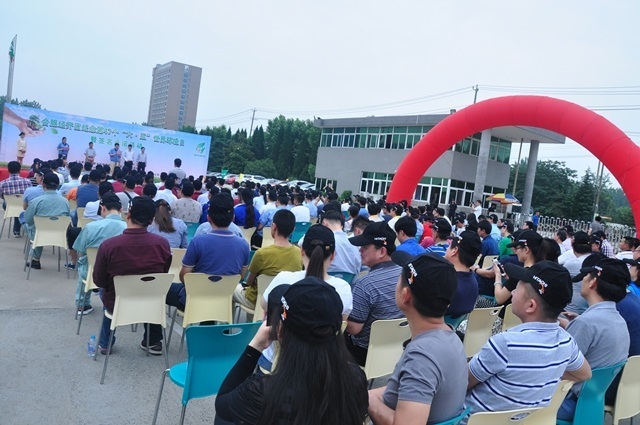 The event was attended by around 230 environmental conservation managers from over 200 companies in Hefei Economic & Technological Development Area, in addition to Mr. Wang Xinhua, Deputy Director of the Hefei Economic & Technological Development Area Administration Committee, and Mr. Pei Xianchang, Deputy Chief of Hefei City’s Environmental Protection Bureau. 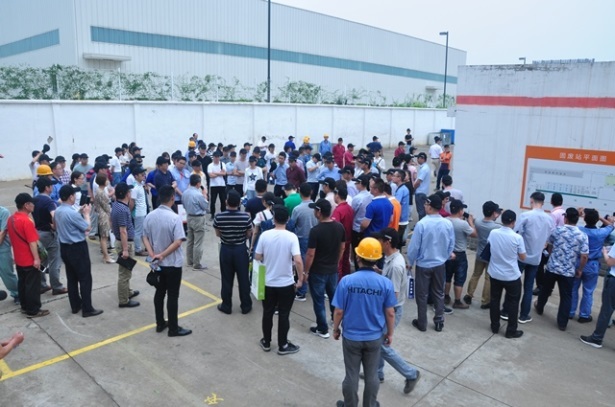 After the ceremony, the group visited Hitachi Construction Machinery (China)’s VOC management facility, sound barrier, and solid waste and hazardous waste storage facility.